Posted by Sherri & filed under Marketing Musings. 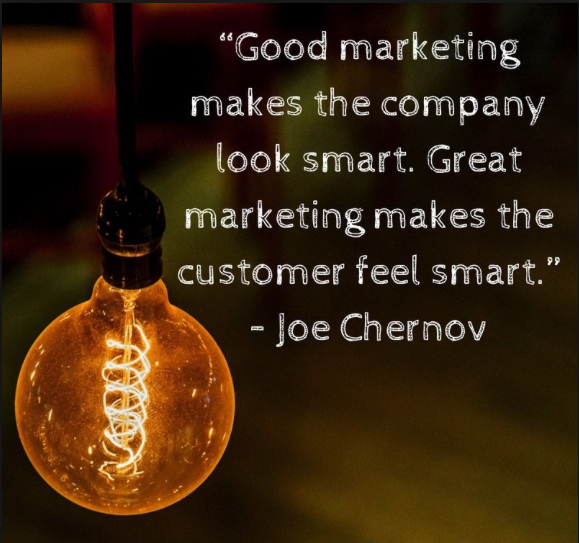 After spending a couple of weeks doing some in-depth customer research for a client, the mindset around here has been extremely focused on how we can empower the customer to make sure they’re making the right decision on utilizing that client’s service. 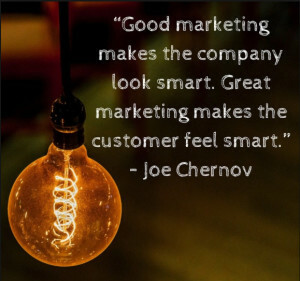 While marketing tends to revert back to the old feature/benefit proposition time and again, sometimes we need to step back and think about what it means to be a customer listening to the illustrious verbiage we create to evoke emotion and behavior. There is the famous story about Steve Jobs when he introduced the iPod and everyone in the news and the rest of the tech world were wondering what was so different about the iPod from the MP3 players in the market. Of course, there were the different features and benefits but the one thing that Jobs and Apple did to market it was to simply announce to the world that you could have 1,000 songs in your pocket. When everyone else was saying “1GB storage on your MP3 player”, telling people about the product, Apple went ahead and made you think you were awesome, having 1000 songs to walk around with. The simplicity is brilliant, really. No oversell, just a fact that made the customer realize that they might just have one-upped “that guy” in the cube next to them that actually new what a gigabyte’s worth of data really meant. Mindset shifts will always be vital in marketing, but mindset suggestions just might make the difference in having the customer make the smart decision.